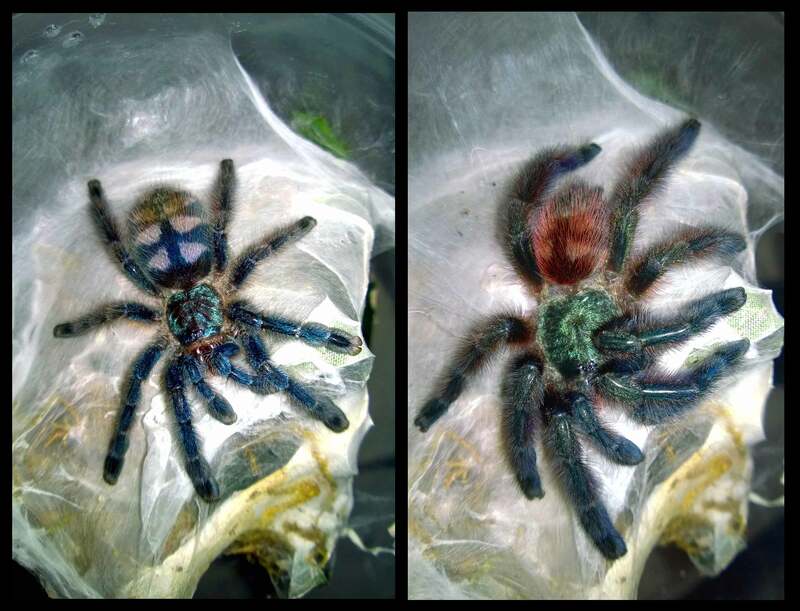 My young adult A. versicolor before (left) and after (right) a recent molt. 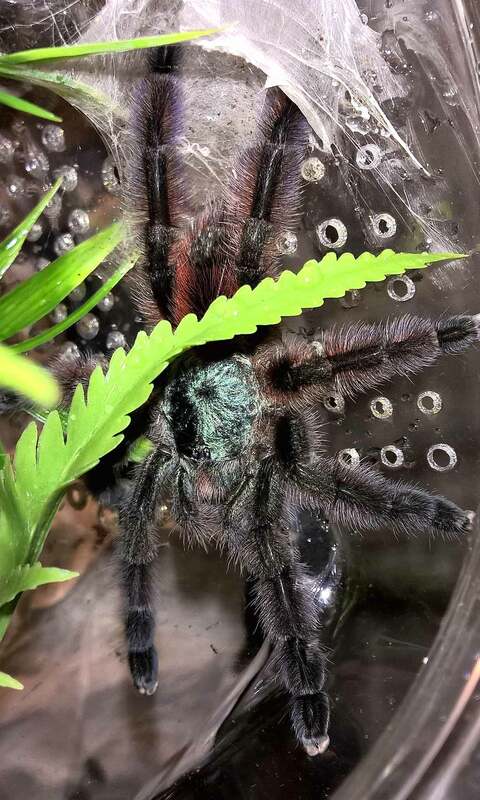 Yesterday, I noticed that my juvenile A. versicolor was looking very picturesque sitting atop its cork bark, so I decided to snap a couple pics. 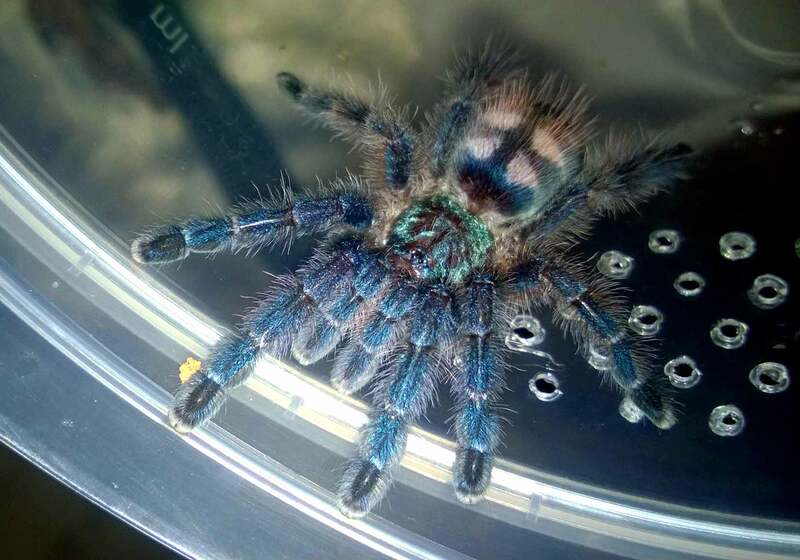 As I was loading them up to resize, I couldn’t help but to look forward to her next molt. 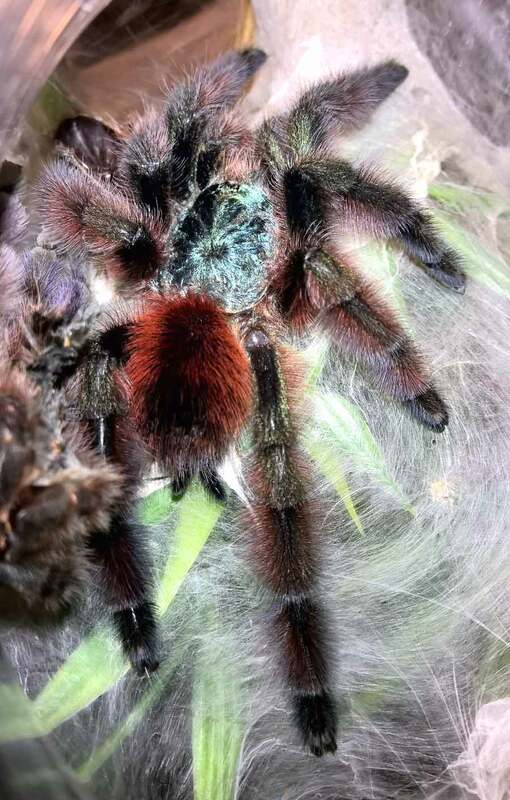 After all, this species undergoes some truly amazing and gorgeous color changes as it develops, and I couldn’t wait to see what new appearance the next molt would bring. 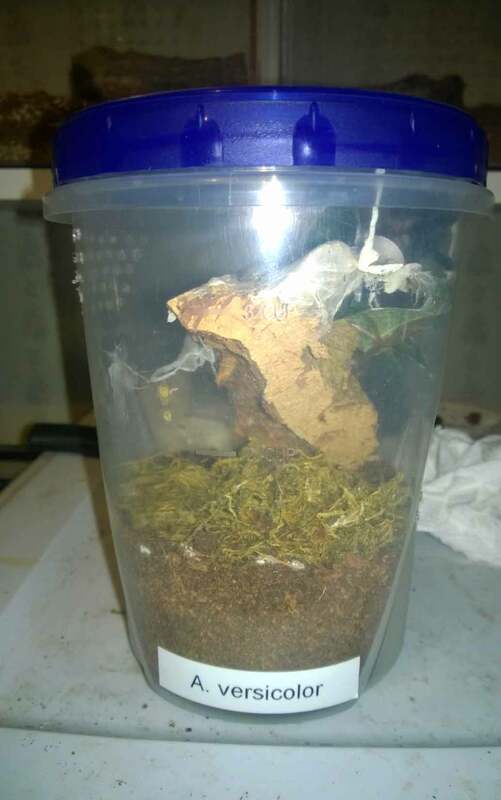 Today I was feeding my Ts when I noticed a discarded exuviae in the corner of my A. versicolor enclosure. I immediately took her down, unscrewed the top, and stared in awe at this beautiful specimen. 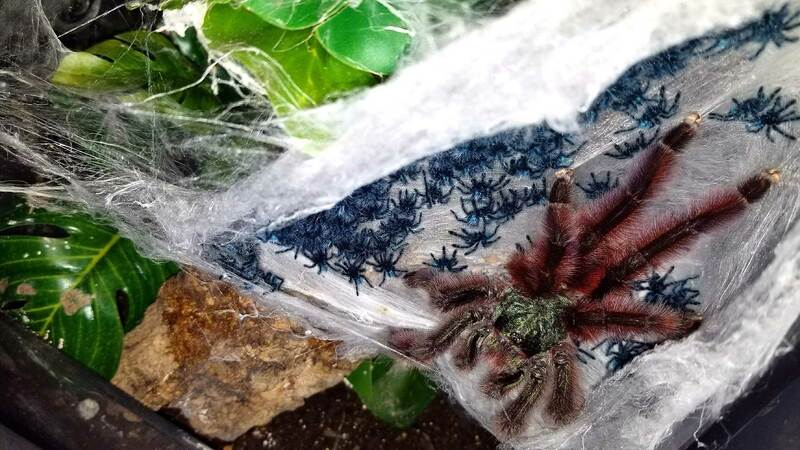 Not only did this new shed bring with it stunning metallic green tones on the legs and even more on the carapace, but her abdomen was finally showing some of that beautiful adult maroon/red. 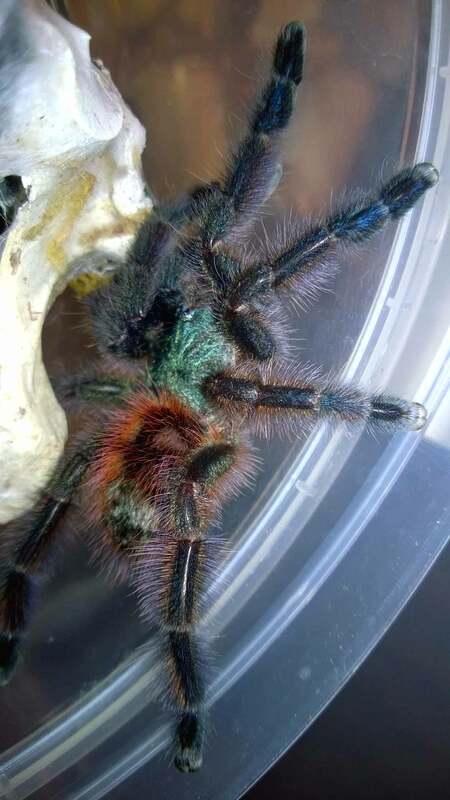 She also put on a fair amount of size this time around, becoming both longer and thicker. As luck would have it, I was able to catch her in almost the exact same spot, providing for a wonderful before-and-after size comparison. 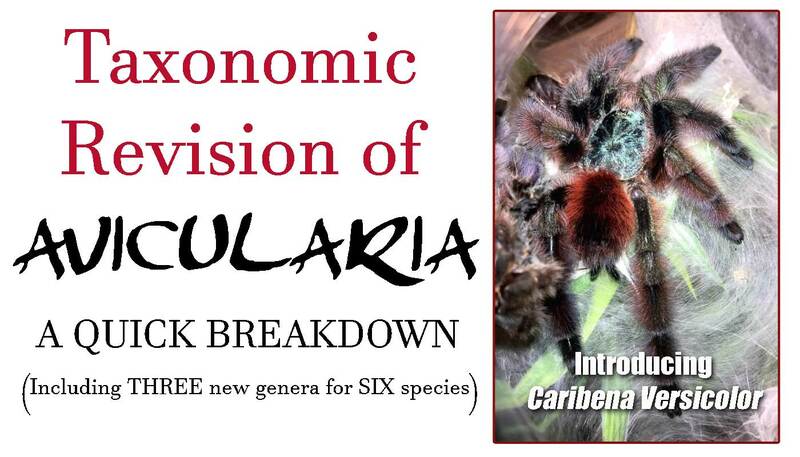 There is a reason this little arboreal beauty is recognized as one of the most stunning tarantula species!